Unterstützung - Jedi. Kosten: 2. 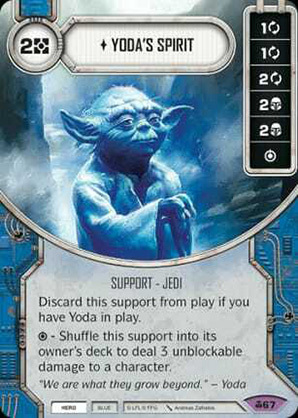 Discard this support from play if you have Yoda in play. - Shuffle this support into its owner's deck to deal 3 unblockable damage to a character.